Now that I have had a few days to think about this, I can move past feeling just the loss of my friend, and begin to celebrate his life. After all, Craig Blower not only impacted my life; he may also quite possibly have saved it. And in the telling of the story of our friendship, you may see some things that could make a difference for you, too. It was an unusual way to start a friendship. Genevieve and I were in San Diego for Christmas, where her extended family gathered every year. With time to kill, I started surfing the web, and came across a cancer blog. The guy had very similar experiences to my own, and he was a pretty funny writer. I instantly liked him. I discovered that he lived in San Diego. I couldn’t pass up this opportunity, so I reached out to him through his blog and arranged to meet for coffee. We hit it off right away. Neither of us had met anyone else with lung cancer, and we both had adenocarcinoma with the EGFR mutation. We started on Tarceva at about the same time, and we even had radiation to our hips at about the same time. We swapped stories about our remarkably similar treatment course, our families, and our lives. Eventually, Craig’s treatment with Tarceva stopped being effective. His oncologist referred him to UCSD to participate in a new clinical trial. That is how Craig came to be the first person in the US to get started on a new targeted genetic treatment, AZD9291 (now Tagrisso). The results were remarkable. After just six weeks of treatment, his new oncologist took his before/after CT results on a road show to other oncologists. Until that point it had been challenging to recruit treatment subjects, but Craig’s Fabulous Makeover results led to a quick spike in enrollment in the study. Almost too quick, as it turns out, for me. Just a couple of months later, CT scan results showed new growth of my own cancer. My oncologist was scrunching up his face, looking at the floor, and telling me he really didn’t have any good options for me. “What about AZD9291?,” I asked. I wasn’t going to let a thousand miles, or my oncologist’s lack of knowledge about this clinical trial, stand between me and life-saving treatment! As soon as I got home, I called Craig and got the contact info for the clinical trial. Early the next morning, he called to tell me that the clinical trial was going to stop taking new applicants very soon, so I had better act quickly. It turns out that I only had until the end of the day to submit all of my medical records for the past eight years. With an enhanced sense of urgency, I made the deadline by the skin of my teeth. Sixteen months later, the treatment is still working for me. That wasn’t the last time Craig had a major influence on my life. The following Spring, I saw that there was a conference in Washington, D.C. called the LUNGevity HOPE Summit. It sounded interesting, but I told Craig that I would be more interested if he went. The expense was also a factor. He gave me good news on both counts: He was planning to attend, and I could apply to go to the conference with all expenses paid, since it would be my first time attending. That tipped the scales. I went to the conference, which inspired me in ways I didn’t expect. 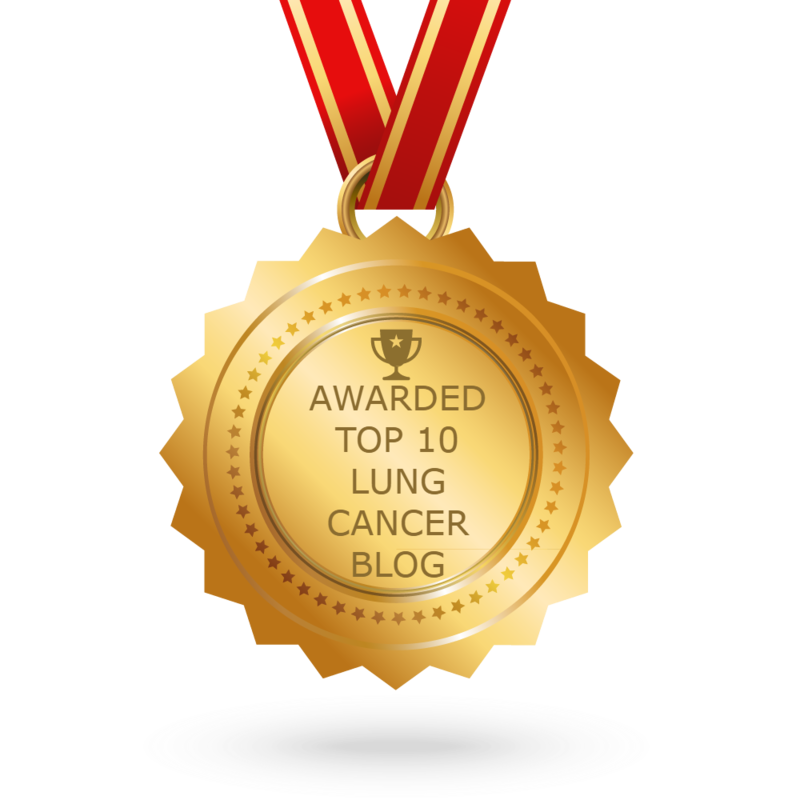 After meeting all those incredible survivors who were doing so much for the cause (not to mention getting a better sense of all the things that Craig was doing), I came away with more hope, and with a stronger sense of how I could be an advocate for lung cancer myself. Since that time, I have become actively involved with www.lvng.org and their Facebook LVNG With Lung Cancer community, I have been interviewed for a couple of oncology waiting-room newspapers and magazines, done public speaking, and volunteered with the American Lung Association. Had Craig told me he wasn’t going to the HOPE Summit, and not mentioned that I could go for free, all of these wonderful changes in my life might not have happened. A year ago, Craig started getting some growth in his cancer again. At first it was questionable, but from the beginning it was enough to worry him that he could get kicked out of the clinical trial. Each scan after that showed a little bit more growth here, then a little more there. Craigshared that he contacted one EGFR guru, but the specialist didn’t have time to see someone for a one-off consultation. It seemed as if Craig started hanging on even tighter to his only lifeline, which was the clinical trial he was in. His oncologist didn’t have any new ideas for him, other than to radiate new spots as they popped up. While Craig's oncologist was telling him there was nothing else out there, I was feeling pretty helpless as his friend. In desperation, I started urging him to get a biopsy and a second opinion. The biopsy would tell if another targeted genetic treatment might work for him, and the second opinion might tell him if there was some idea his doctor had missed. However, given the choice between trusting your oncologist, who could kick you off the treatment that you believe is saving your life, and following the advice of a friend with no medical training, it’s easy to see why he stuck with doctor’s orders. Eventually his doctor did a biopsy, and they found that he had a genetic mutation that could be treated in a new clinical trial. However, the trial was in Boston. Craig scheduled his initial appointment, but it was already too late. By then, his health was too compromised to travel. As Kim said around that time, he was fading in and out of lucidity from the pain meds. It was right at that time, a week before Craig passed, that I had another appointment with my oncologist in San Diego. Genevieve and I arranged with Craig’s wife, Kim, to see Craig on our way from the airport to my appointment. It broke my heart when she told me on the phone that Craig was worried that he would disappoint me, because he didn’t make it to Boston. I made sure to tell him that I was sorry he wasn’t able to go, but that it would not have been humanly possible to get there. 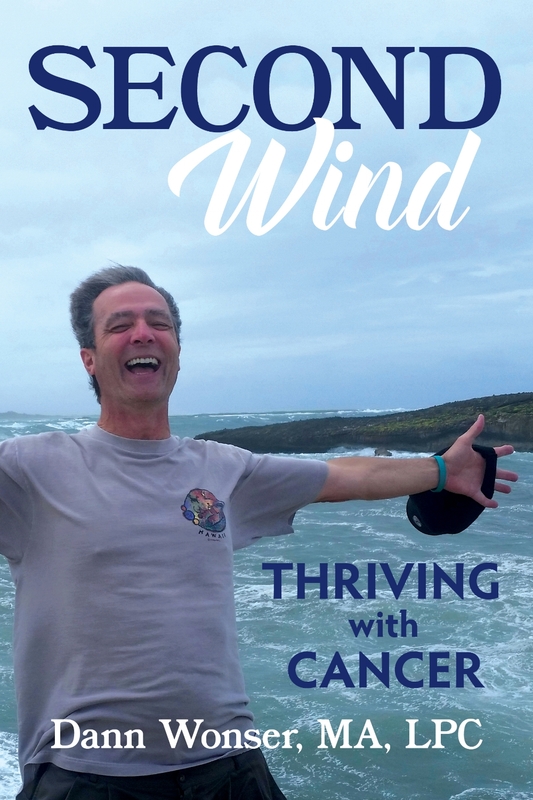 I will be attending the LUNGevity Foundation's National HOPE Summit in Washington, DC, in May - it's a special conference just for lung cancer survivors like me. Since I was able to raise $1000 or more in donations, LUNGevity will cover my travel expenses, including US round-trip transportation and hotel accommodations. However, I have raised the bar, and I am trying to raise as much as I can for LUNGevity. AND NOW THERE IS AN ADDED INCENTIVE. THIS IS THE NEW PART: The wonderful, compassionate, and very supportive partners at the real estate brokerage in Portland where I work, Macadam Forbes, are offering a MATCHING GRANT. FROM TODAY FORWARD, THEY WILL MATCH ANY NEW DONATION, DOLLAR FOR DOLLAR, UP TO $500. If you give $10, you will be raising $20 for LUNGevity. If you give $100, you will be raising $200. It is with sadness that I share the news with you that my friend Craig has passed. Rest in peace, my friend. We will raise a glass for you. Tags Craig Blower, Craig Blower Get Fuzzy! What a week! First, there were turtle rescues. No, not THAT kind. Rescue OF turtles, not BY Ninja Turtles. The second option would stretch believability even more than if I told you that I was still alive after nine years with lung cancer. No, I'm talking about rescuing REAL turtles. That means we're back in Hawaii again, taking our usual morning beach walks. Only this walk was far from usual. First, we came across this distressed-looking adult turtle, out of the water, baking in the sand. While Genevieve called the Turtle Rescue hotline (yes, there is such a thing in Hawaii), I found a five gallon bucket and poured ocean water on the poor turtle. Meanwhile, the Turtle Rescue man told Genevieve that finding this turtle on the beach either meant that it was in distress, or that it was taking a nap. When I poured the bucket of water on the honu (Hawaiian for turtle), it immediately did a 180 degree spin in the sand and headed for the ocean at full speed. So depending on your point of view, we either rescued this poor turtle, or made him grumpy by waking him up from a good nap. Next, on the same walk, we come across a family with a young boy that has been stung by a Portuguese Man-of-War, which is a tiny blue bubble of a creature with a three-foot tale that feels like a bee sting on a string. The boy had been touched on the leg, chest and arm, and welts were forming. Genevieve instructed us to get the white berries off the naupucka shrub that grows just about everywhere along the beach. We gathered berries, mom rubbed them in, and the boy immediately got some relief. Genevieve told them to go to the ER if symptoms worsened or he had difficulty breathing. The mom thanked us for the instant relief, and for saving the family a trip to the ER. This stuff never happens, but this day EVERYTHING was happening. We were almost back to our beach house, when we saw a fisherman struggling to get his line out of the water. At first we thought he had a snag, but eventually we saw what he was reeling in: You guessed it. A turtle. I offered to help. He reeled it in until I could grab the turtle and lift it by the shell. I held it while he ran back to get his pliers, and then pulled the hook out of the poor turtle's mouth. Once it was out, I let the turtle loose in the water, and he swam off at Olympic speed. He didn't even say thank you, probably because his mouth was too sore. So I'm starting to think that this is why I'm still alive: To rescue turtles. But then Genevieve reminds me that we have been invited to be ambassadors. Sounds impressive, doesn't it? Now you're wondering, "ambassador of what?" I guess "Cancerland" would be the best answer. This is four-day speaker training program in Chicago, so that Genevieve and I can become more skilled at public speaking, and then speak at regional cancer-related events when the opportunity presents itself. Now THIS has our full attention. I can't think of anything more fulfilling than providing hope and inspiration for other people that are going through what we're going through. Last, but number one on my mind for the past couple of weeks, I want to give you an update on my friend Craig Blower. Craig and I have been on parallel paths with Tarceva and then AZD9291 for the past almost three years, although Craig started AZD9291 a few months before me. He has had growth in his existing spots, and metastasis to some new ones. The treatment course is unclear at this time. He is asking for virtual hugs across the miles. If you are so inclined, visit https://craigblower.wordpress.com/ and say hello. It would mean a lot to him, and to me as well.